I’m not a philatelist, but I like having special stamps now and then. Next Sunday, January 17, 2016, new USPS shipping rates will take effect. I ship with First Class mail through the post office, which means that shipping and handling costs for my Etsy shop are also affected. The price includes the postage and a handling fee (= packing materials, paper and ink). I will continue to pass onto buyers the savings I get by buying my shipping labels through Etsy, and I’m glad I can do that – as a customer, I appreciate it when sellers try to keep costs reasonable, and want to return the favor. I’m going to be entirely honest here: I’m not happy that the largest rate increases affect packages under 1 lb / 0.5 kgs. At the moment, though, USPS is the best option for my small light-weight shipments, but I will continue to monitor the situation. USPS is raising their rates on Sunday, May 31, 2015. I ship through the post office, which means shipping and handling costs for my Etsy shop are also affected. 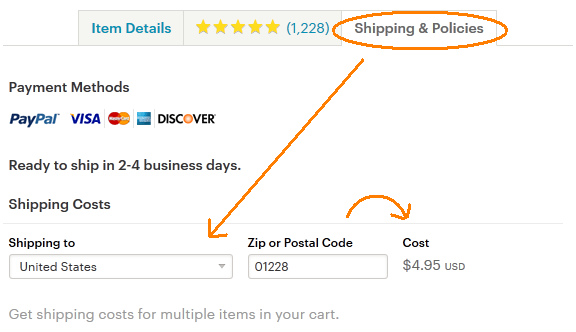 Since I was going to have to modify my shipping charges in any case, I decided to join Etsy’s new calculated shipping program for U.S. sellers. It means that shipping charges are automatically calculated based on 1) a buyer’s actual location, 2) the seller’s actual location, and 3) the size and weight of the item(s) being shipped. Changes for buyers are minimal. When viewing an item, buyers enter a U.S. ZIP code (or a non-US country) on the Shipping & Policies tab to generate shipping costs. 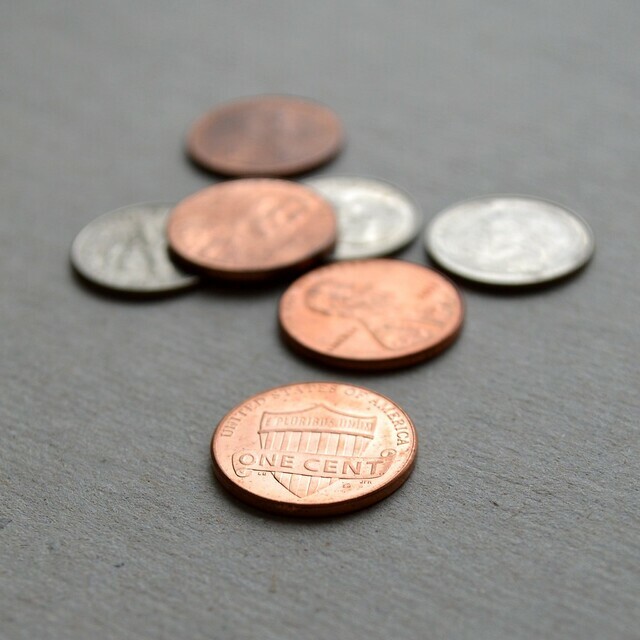 The price shown will be for the least expensive shipping method offered by the seller that is eligible for the total weight and dimensions of the item(s). For me, calculated shipping means I’m both able to give shoppers more accurate shipping costs and save time myself with the new back end settings. Previously, it took a lot of work for me to to determine shipping costs. I spent last weekend weighing and measuring every item in my inventory, creating new shipping profiles, entering the figures into my shop interface on Etsy, and making sure all t:s were crossed and i:s dotted. The new settings are now in effect. I have checked my data entry, and everything should be in order, but if you see anything odd, please don’t hesitate to drop me a note. 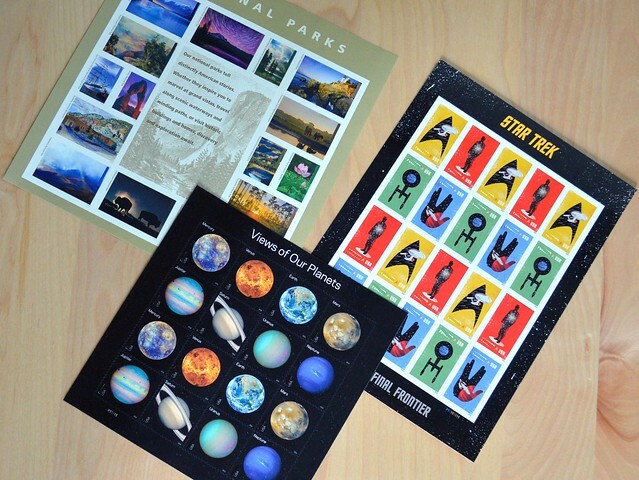 Next Sunday, January 26, 2014, new USPS shipping rates will take effect. At the moment, I ship exclusively through the post office, so I took the opportunity to look at my Etsy shipping fees and made adjustments. I’m glad to say the adjustments were minimal. As a customer, I appreciate it when Etsy sellers are trying to keep costs reasonable, and want to return the favor. I was even able to bring the shipping costs down for four types of items. That was possible because I invested in additional bulk supplies, which brought the per-item price down. Happy weekend, and stay warm!